After falling and feeling like crap in month 3, month 4 was by far much better. I picked myself up and removed my weave a mere three weeks after putting it in. I had actually missed my fro. So that break definitely helped. I know weaves get bad reps from many people, especially natural hair fanatics but I really think that weave that I put in out of sadness and desperation saved me from doing anything drastic to my hair when I was feeling so low and insecure. 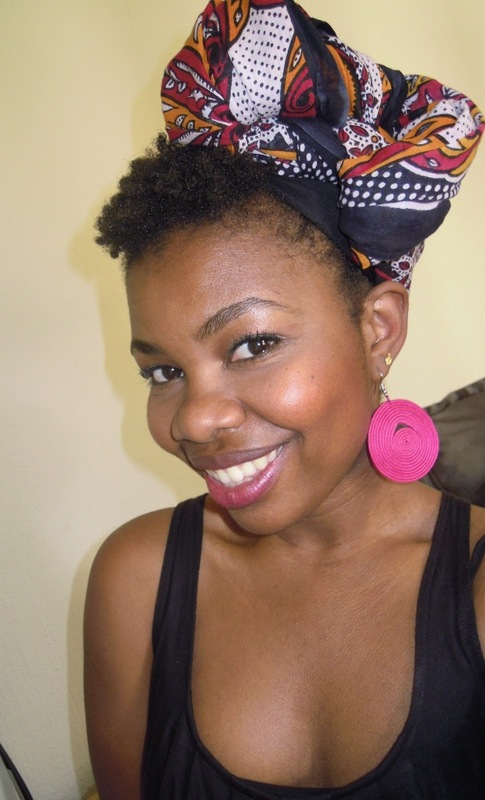 Ladies, if you’re not sure about your hair yet and aren’t opposed to wearing weaves or braids, I strongly suggest you use these styles to give yourself, your hair and your self esteem a bit of a break until you’re ready to face it again. I think as long as you don’t become dependent on them to constantly feel beautiful, I think it’s a great way to save your fro. 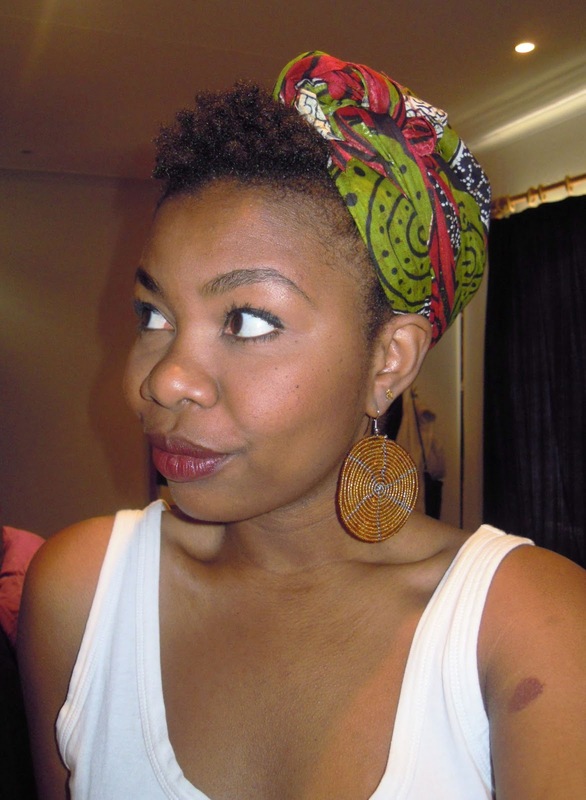 This is the month when I began to surrender to my hair. Before I went natural, I had certain expectations for my hair. 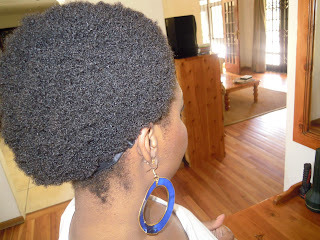 In particular, I thought my hair’s curls would look like my sister’s beautiful natural and thick spirals. My sister doesn’t do much to her hair and keeps it simple. 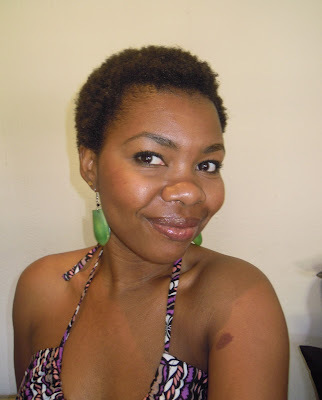 She wets her hair in the shower everyday, puts some gel on to help define her curls and of course washes it regularly. That’s it. 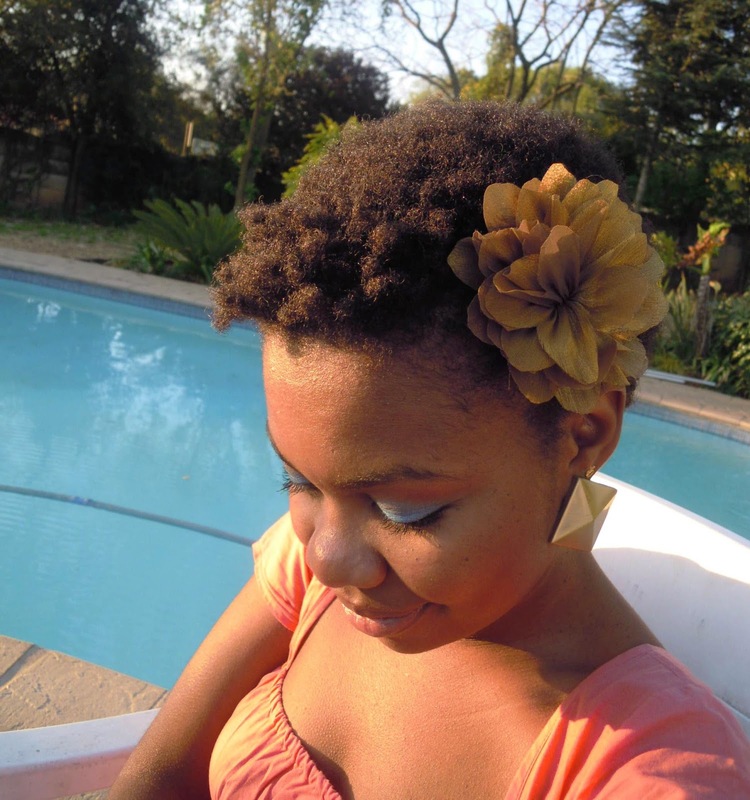 No braid outs, twists, nothing and it’s beautiful. My hair needed more help to get to that point. Up until now, I co-washed my hair almost every other day and used the palm of my hand to create a bumpy look and more flat twists to stretch it out. This month, my hair was long enough to begin doing braid outs. I began experimenting by doing only a few in the front to see the difference and it was huge. My hair had some bounce and character to it. I also learned that my hair LOVES glycerin and avocado oil. After reading about them and finding them at Pick n Pay, I added them to my spritz and shampoo and well, everything I could. And thus my current daily spritz was born. I learned a lot and wrote about it all in my Month 4 review. I also noticed that my hair was long enough to do almost 10 styles. It was baby step level styles of course but it was so exciting to have some variety so I wouldn’t get bored. I also blow dried my hair for the first time since I stopped relaxing. I was very careful and cautious, making sure I used a heat protectant and kept the heat on the cool setting. Once I blow dried it and did my first full braid out, I was addicted to the length. I had no idea how crazy my shrinkage was until then and got a taste of the massive difference in length and look. I also realised that combing my hair wasn’t for me. I didn’t like the lack of curl definition and it also hurt to do while dry. 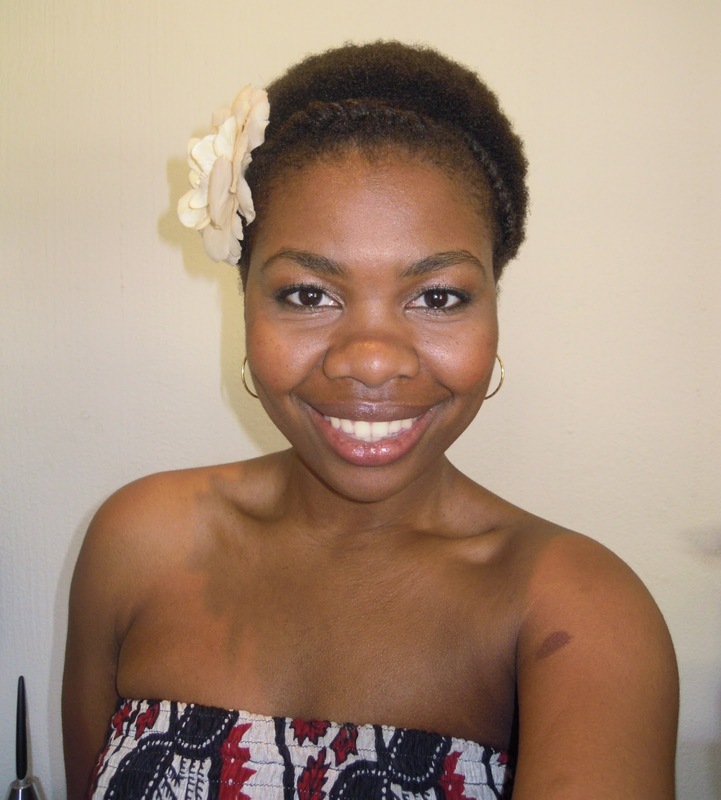 My hair was growing at different rates on different areas of my head and it wasn’t easy to make it all look the same height after I combed it. I definitely preferred the bumpier look. Head scarves became go to accessories. It was a much better month than the previous one. Having the slight variety of styles made it much easier and more interesting for me. It motivated me to keep experimenting and trying new things. I think that by realising that my hair is its own thing, and to stop having certain expectations, I began to feel freer in a way. I let it be and welcomed whatever style it ended up wanting to be in. I’m not crazy, it really works! Previous Post Protective Style Dilemma! 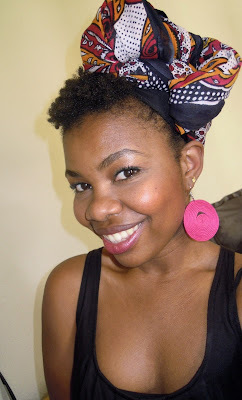 hey Aisha,am clueless on how to twist my hair…is there a guide for me? Hi, it's very simple: part your hair into a section say 1/2 inch. Split that into two then twist those two parts around each other. That's it 🙂 For a more visual guide, type in 'two strand twist' into YouTube and watch the videos there. Hope that helps! Hi Aisha, did you manage to find a good gel like the one you used to find at clicks? Hi Aisha, I'm at the 3 month stage and I must say it feels like I cut my hair yesterday!! What do you think of constantly being in protective styling for length retention? 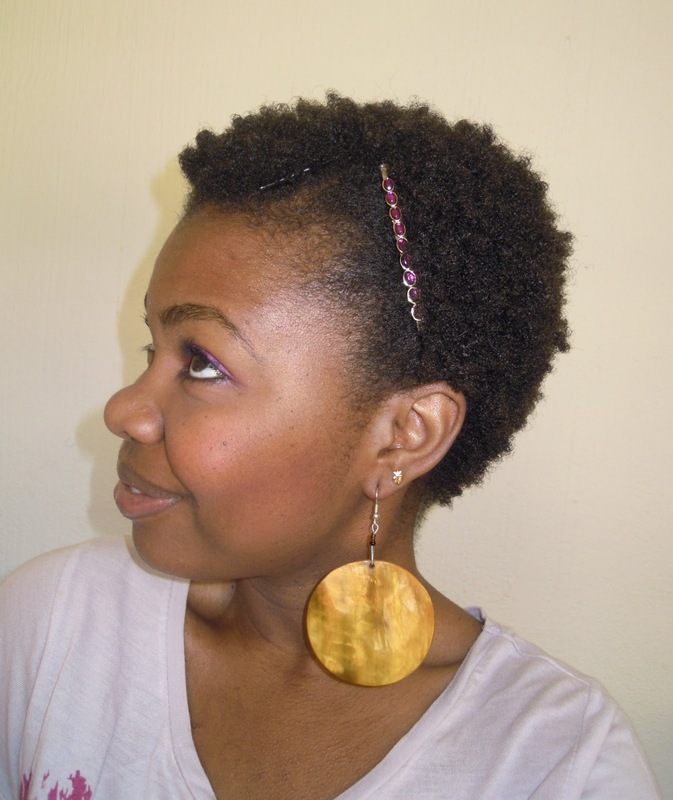 Hi Beulz, I think that protective styling, when done right is great for length retention. However, as with everything,it needs to be in moderation. The key things to remember with protective styling (especially when using extensions for the look): is to carry on taking care of your own hair underneath it all, never leave a style in for more than its suggested time (weave 6-8 weeks, braids 8-10) and also make sure to give your hair a break in between installing the styles. Be mindful of styles that pull your edges as your hairline may suffer. I can't tell you how much patience is key! It's the only way! My hair length still isn't even throughout my head but I'm trying to focus more on its health and thank God it's even growing lol!